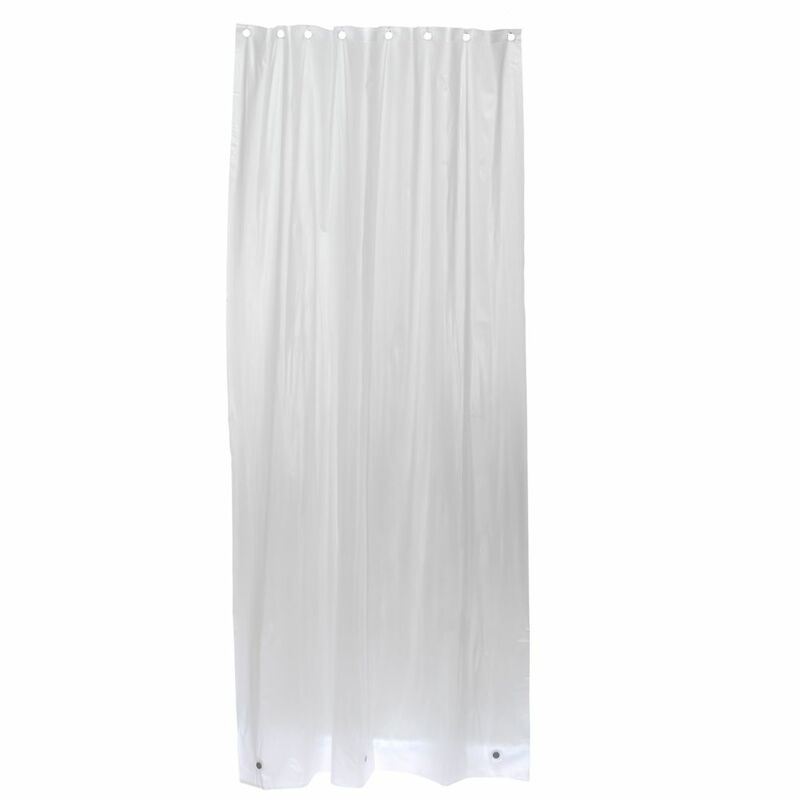 This Zenna Home Stall-Sized Vinyl Shower Liner provides a practical solution to help keep water inside your bath area. Sized to fit in any standard stall-sized shower space, the liner has a frosty finish and can be paired with a decorative shower curtain. Metal grommets ensure the shower liner will hold steady without ripping on any standard shower rings or hooks. A weighted magnetic hem holds the liner's bottom against the shower or tub wall to keep water from getting outside. Zenna Home by Zenith's toll-free USA-based Customer Service department is available (800-892-3986) to answer any additional questions. This Nylon Jacquard Shower Liner features taupe colouring and a jacquard weave design with a raised pattern. The liner is machine washable and mildew resistant for easy cleaning. 42 Inch W x 78 Inch H Stall-Sized Vinyl Shower Liner in Frosty This Zenna Home Stall-Sized Vinyl Shower Liner provides a practical solution to help keep water inside your bath area. Sized to fit in any standard stall-sized shower space, the liner has a frosty finish and can be paired with a decorative shower curtain. Metal grommets ensure the shower liner will hold steady without ripping on any standard shower rings or hooks. A weighted magnetic hem holds the liner's bottom against the shower or tub wall to keep water from getting outside.